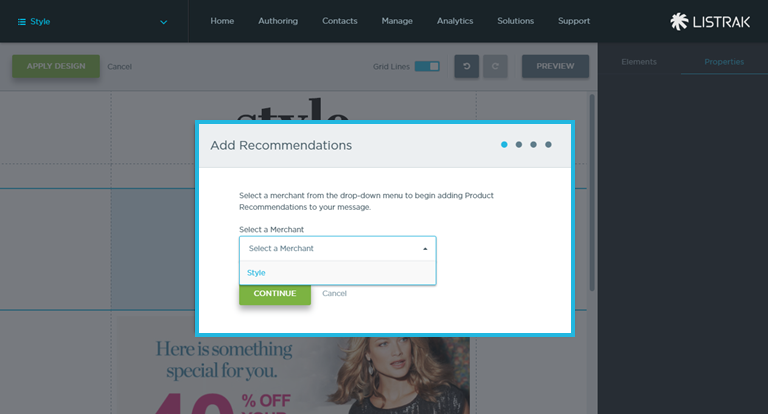 Learn more about how to put Product Recommendations in your Listrak Composer emails. 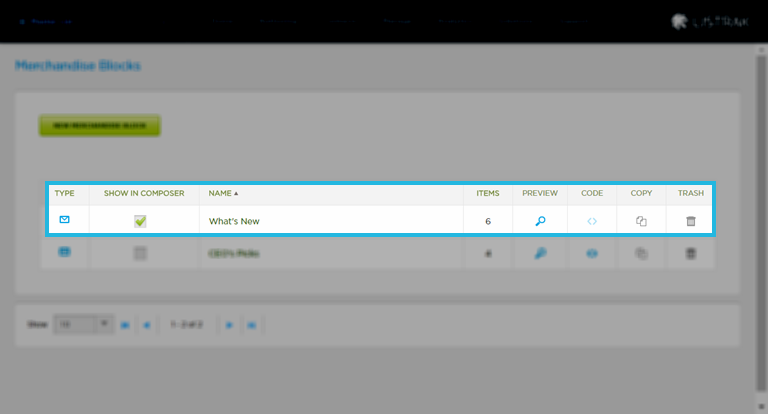 You can add Product Recommendations to your Listrak Composer emails all from within the Listrak Composer interface. Adding Recommendations to your emails allows you to send highly personalized and tailored content to your shoppers based on items they are interested in. Watch the below video for a quick glimpse at how fast and easy it is to add personalized Product Recommendations to your Listrak Composer emails. 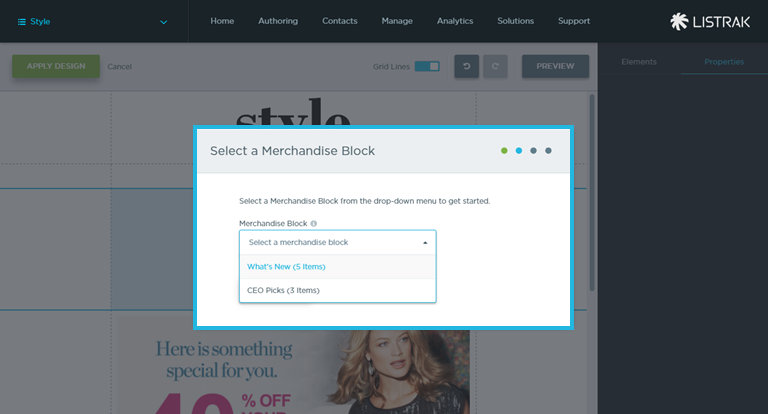 To begin adding Product Recommendations to your Listrak Composer emails, you must have a Merchandise Block enabled for use. Enable Merchandise Blocks by following the below steps. 1. Navigate from the home menu to Solutions. 4. Enable the applicable boxes to show in Listrak Composer. Once you have enabled your Merchandise Blocks, you can begin building your email. Begin building your email by following the below steps. 4. Drag and Drop the Recommended Products icon. 6. Select a Merchandise Block from the drop-down menu. NOTE: Enabled Merchandise Blocks will appear here. NOTE: For multi-merchant accounts only: By default you will be shown merchandise blocks from the merchant selected under List Settings - Default Merchant. You can override the default merchant by navigating to Settings inside Composer. Under Settings you can select a different merchant under Solutions. 8. 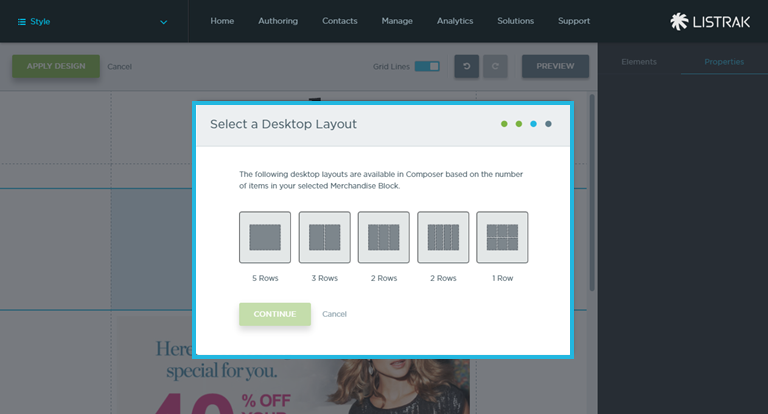 Select a Desktop Layout. 10. 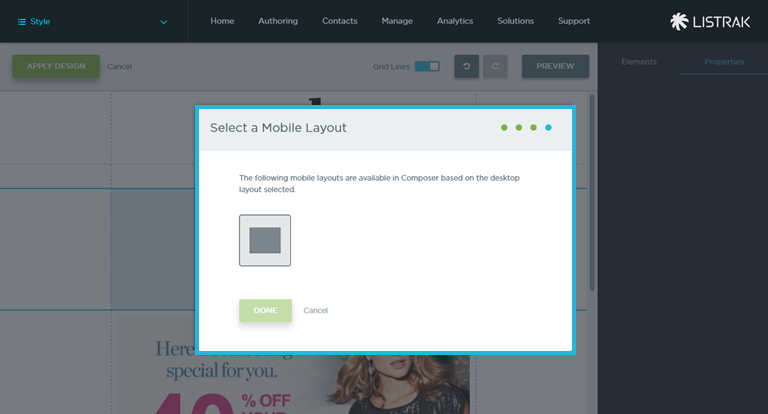 Select a Mobile Layout. The selected Recommendations will now appear in your Listrak Composer Message. 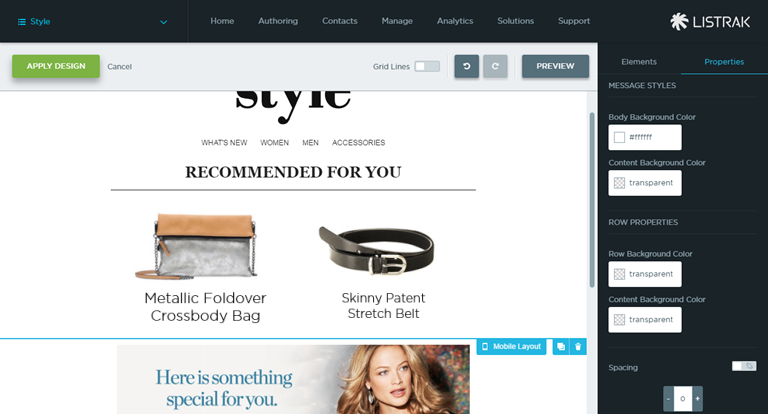 Click here to learn more about personalizing your Recommendations design.